Meeting Minutes – July 2015 | F.F.A.M. 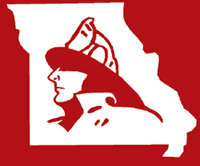 President Kenneth Hoover called the meeting of the Board of Directors of the Fire Fighters Association of Missouri to order at 9:00 a.m. Sunday, June 7, 2015 at the State Fair Fire Department in Sedalia, Missouri. President Kenneth Hoover, Little Dixie FPD; First Vice President Tim Bean, West Plains FD; Second Vice President, Charlie Neubert, Highlandville Rural FD; Secretary Treasurer Jaime Miller, Johnson County FPD. District 1, Terry Wynne, Galt FPD; District 2, Greg Wright, Shelbina FD; District 3, Larry Jones, Madison West Monroe FPD; District 5, Terry Plumb, Southern Stone FPD; District 6, Richard Gordon, Cole County FPD; District 7, RB Brown, Eureka FD; District 9, Roy Sims, West Plains FD; District 11, Monty Thompson, Kearney FPD; District 14, Rick Dozier, Southern FPD of Holt Co.
District 1, Janet Cain, Braymer FR; District 3, Rob Erdle, Little Dixie FPD; District 10, Greg Brown, Eureka FPD; District 11, Roger Meyers, Concordia FPD; District 11, Ryan Miller, Norborne FPD. Past President Keith Smith, Warrenton FPD; David Hedrick, MU FRTI; Greg Carrell, Brenda Carrell, Division of Fire Safety; Larry Jennings, Joe Jennings, Johnson County FPD; Donald Vaucher, Harriett Vaucher, Eureka FPD; Grant Oetting, Higginsville F&R; Doc Kritzer, Fire Fighters Memorial Board; Jay Kelbaugh, Southern Stone FPD; Malachi Henley, Highlandville Rural FD; Scott Olson, Alma FPD; George Kronshage, Wellington Napoleon FPD; Steve Gentry, Little Dixie FPD; Scott Frandsen, Lake Area Emergency Services Association. President Hoover asked for additions to the agenda. Rick Dozer moved to accept the agenda as presented. Terry Wynne seconded the motion and all approved. There are no minutes for approval. The May 2015 convention minutes will be submitted for approval at the 2016 convention. President Hoover asked for a review of the April/May 2015 financial report. Charlie Neubert moved to accept the financial reports as presented. Larry Jones seconded the motion and all approved. MU FRTI Director David Hedrick reported that Summer Fire School ends today. Enrollment was lower than previous years. There are 607 classes scheduled for the upcoming fiscal year. If anyone is interested in scheduling training, contact them. MU FRTI, along with the Division of Fire Safety will be meeting with the state Fire Education/Advisory Commission on June 18 to discuss subsidy funding. MU FRTI is wrapping up their fiscal year. Fire Marshal Greg Carrell with the Division of Fire Safety reported that he and the new Director of Public Safety Lane Roberts visited Summer Fire School. Roberts wants to learn more about the fire service and will be traveling throughout the state to different events. If any department has a chiefs meeting or other meeting that they would like for Fire Marshal Carrell to attend, please contact him. He welcomes the opportunity to visit with departments around the state. Carrell reported that presentations are next week for vendors to request funding for courses they will offer around the state. The new fiscal year starts July 1. The DFS is promoting training all across the state due to the increase in fire education training funds. Those wanting training are encouraged to contact DFS to schedule. The DFS is looking at fourteen additional levels of certifications. More information will be out in the near future. They will also be beginning a series of video/ podcasts on CO and other areas of interest and will be publishing the videos online for public viewing. More information will also be out soon regarding this project. Secretary Miller read a letter received from Richard Dyer extending his thanks for awarding him with the Phil Sayer Lifetime Achievement award. President Hoover reported that he along with Greg Carrell and Monty Thompson attended a reception at Inter City Fire Protection District to recognize Jeffrey Jewell for his FFAM Fire Chief of the Year award received at convention. Larry Jennings reported that he still hasn’t received any notification regarding the SAFER grant. President Hoover advised on the appointment of new assistant directors and committee members. President Hoover recommended Steve Gentry of Little Dixie Fire Protection District to fill a District 3 Assistant Director position. Richard Gordon moved to appoint Steve Gentry to District 3 Assistant Director. Monty Thompson seconded the motion and all approved. President Hoover recommended Shelby Phifer of Southern Stone Fire Protection District to fill a District 5 Assistant Director position. Roy Sims moved to appoint Shelby Phifer to District 5 Assistant Director. Rick Dozier seconded the motion and all approved. President Hoover advised that he has made numerous attempts to contact District 10 Director Doug Christ but hasn’t been able to reach him. He advised a change may be coming to that position. President Hoover recommended Larry Jennings of Johnson County Fire Protection District to fill the chairman position of the Awards Committee. Charlie Neubert moved to appoint Larry Jennings as the Awards Committee chairman. Greg Wright seconded the motion and all approved. President Hoover also advised there is an opening on the Awards Committee so if you have recommendations, contact him. President Hoover recommended Terry Plumb of Southern Stone Fire Protection District to fill a vacancy on the Scholarship Committee. Rick Dozer moved to appoint Terry Plumb to the Scholarship Committee. Richard Gordon seconded the motion and all approved. President Hoover advised again on the Henry Golden Boy Firefighter Edition rifle fund-raiser. The rifle will be raffled off to raise funds for the Historical Preservation Center to be built in Kingdom City. The winner will be chosen at the 2016 convention. Contact Steve Gentry with Little Dixie Fire Protection District if you have questions or would like tickets to sell in your area. Larry Jennings advised that the committee will be going through the current awards and updating them. Tim Bean advised all committee budget requests need to be in to him by the August meeting. David Hedrick reported that the Missouri Fire Chaplain’s Corp conference was held May 4-5 in Arnold, Missouri. The 2016 conference will be May 2-3 in Springfield, Missouri. The Federation of Fire Chaplains annual meeting will be held Oct. 18-22 in Palm Beach, FL. Hedrick advised that discussions have been held on whether fire chaplains are covered under a department’s workers compensation insurance. He recommends that you contact your insurance company to make sure they are covered. Richard Gordon reported they had one layout issue during the contest but it will be corrected. He could use more volunteers at the contest for timing and judging. Contact him if you are interested. Larry Jones reported that a request to host the 2016 convention had been received by the Lake Area Emergency Services Association and by the State Fair Fire Department. Discussion followed. Rick Dozer moved that the 2016 convention be hosted by the State Fair Fire Department. Terry Wynne seconded the motion. Discussion followed. Rick Dozier then withdrew his motion. Terry Wynne withdrew his second. Tim Bean moved that the 2016 convention be hosted by the Lake Area Emergency Services Association. Richard Gordon seconded the motion and all approved. Charlie Neubert moved that the 2017 convention be hosted by the State Fair Fire Department on behalf of the FFAM Board of Directors. Terry Wynne seconded the motion and all approved. Discussion was held on the 10% convention proceeds that are given back to the FFAM each year by the host department. The funds were originally designated for training however, they are put back in general revenue. Larry Jones moved that the 10% convention proceeds given to FFAM by the host department be donated to the Fire Fighters Historical Preservation Foundation of Missouri. Monty Thompson seconded the motion and all approved. Rick Dozier reported that the Certified Board Member training was well attended. The Propane First Responders Conference will be held at the State Fair Fire Department September 12-13. The training, meals and lodging will be provided free of charge. The Education Committee will be paying for a portion of the conference and MFA Propane will be sponsoring the training. Dozier requested approval for one-time additional funding of $1,500 to the Education Committee budget. Discussion followed. Greg Wright moved that a one-time additional funding up to $1,500 be authorized for the Education Committee for the propane training and CPR training. Monty Thompson seconded the motion and all approved. Dozier advised that the Missouri Propane Association has purchased a Henry Golden Boy Firefighter Edition rifle that will be given away during the September propane conference at the State Fair. More information regarding the conference will follow. RB Brown reported that the poster award winners would be invited to the State Fair on August 15 and 23. Directors who have award winners in their area need to try and locate home addresses and get them to him so letters can be sent to each winner. Greg Brown reported that the budget included $300,000 in firefighter training for fiscal year 2016. A bill regarding federal reimbursement for ambulance services passed. The bill extends the collection of the FRA for another year, which is the mechanism that funds the payments to Medicaid ambulance service providers. 911 legislative failed and work is being done regarding the legislation for next year however, they are still facing many road blocks. 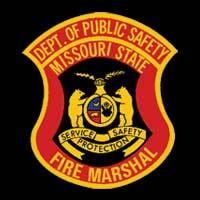 The Missouri Fire Chiefs Association has started discussions regarding a process that would allow for additional federal revenue for first responders. Charlie Neubert reported the following membership counts: 515 directors/ councilman; 276 retired; 15 associate; 11 sustaining; 18 corporate; 377 departments; 7,390 active. Jaime Miller reported that she has been in contact with several new vendors regarding possible new benefits to FFAM members. She would present more at the August meeting. Keith Smith reported that NVFC requested the support of FFAM regarding a rural fire equipment medical grant that they are pursuing. Smith had spoken with President Hoover regarding the request and the FFAM is supporting the measure. NVFC is looking for other partnerships for grant funding. Monty Thompson reported that acceptance and rejection letters would be sent this week. Crews had a productive work weekend. The next work weekend is July 17-18. He also advised that if someone has a name of a former State Fair Fire Department member who has passed away, please let him know. They are getting the memorial plaques at the fire station up-to-date. 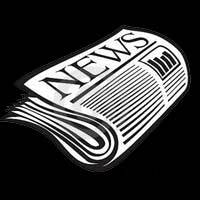 Jaime Miller advised that the submission deadline for the next newsletter is July 1. 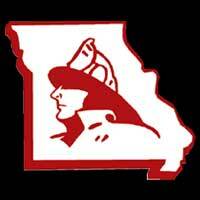 Harriett Vaucher reported that the Missouri Fire Service Funeral Assistance Team will be hosting a golf tournament on July 13 in St. Peters, Missouri. More information can be found on their website. 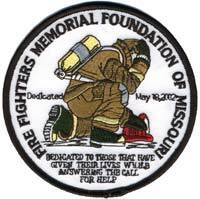 Doc Kritzer with the Fire Fighters Memorial Foundation of Missouri reported that the memorial services in May went very well. There were approximately 200 in attendance Saturday night and more than 350 Sunday morning. The flags on the hillside at the memorial will fly until Flag Day. They are advertised for sale each year in the newsletter for $30 each and have become a big attraction to those passing by. He reported that the Village of Kingdom City has purchased the tourism building next to the memorial. They want to keep the partnership with the memorial and they will continue to house some of the memorial’s information however they do want to consolidate some of the storage space occupied by the memorial. President Hoover recommended that the FFAM provide a FFAM flag to be carried during the memorial services by the Honor Guard. Discussion followed. Terry Wynne moved that the FFAM provide a FFAM flag to be carried during the memorial services by the Honor Guard. Rick Dozier seconded the motion and all approved. Keith Smith reported that those firefighters who pass away in 2015 will be honored next year. He also reported that the families of those firefighters that pass away January through March in 2016 have the option to have their loved one honored at the 2016 services or wait until the 2017 services. There are no time limits on line-of-duty deaths. He requested that anyone who receives the name of a firefighter who has passed, please get the information to him. He reported that the committee will continue to look at ways to improve the services and thanked all those who assisted with this year’s services. The next board of directors meeting will be August 9 at the State Fair Fire Department. Charlie Neubert moved to adjourn the meeting. Greg Wright seconded the motion and all approved. President Hoover adjourned the meeting at 10:45 a.m.